A Contemporary Classic, clean elegant lines, beautiful U – shape center setting making the diamond seem to float in mid air, view the entire beauty of the center solitaire, accented with striking tapered baguette cut, and channel set brilliant cut diamonds. 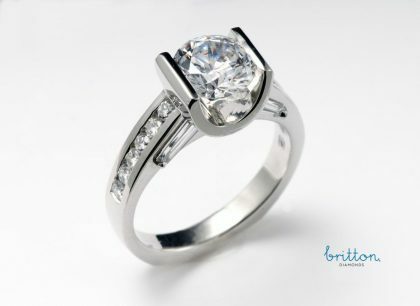 Center Diamond available from 1.20ct and up. SKU: 100-00070 Categories: Contemporary Diamond Rings, Engagement Rings. 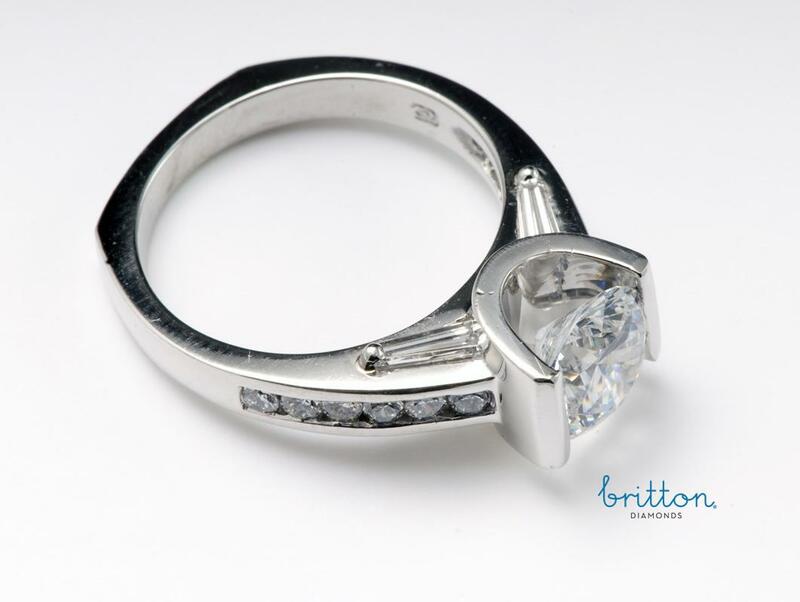 Tag: Platinum Diamond Ring;Contemporary Diamond Engagement Ring; U Prong Diamond Ring.